Steve Grudgings, SB, A4, over 70 B&W photos (also on both covers) and lots of diagrams, plans etc and copies of letters. This book tells the story of the engines and the men that drove and maintained them. 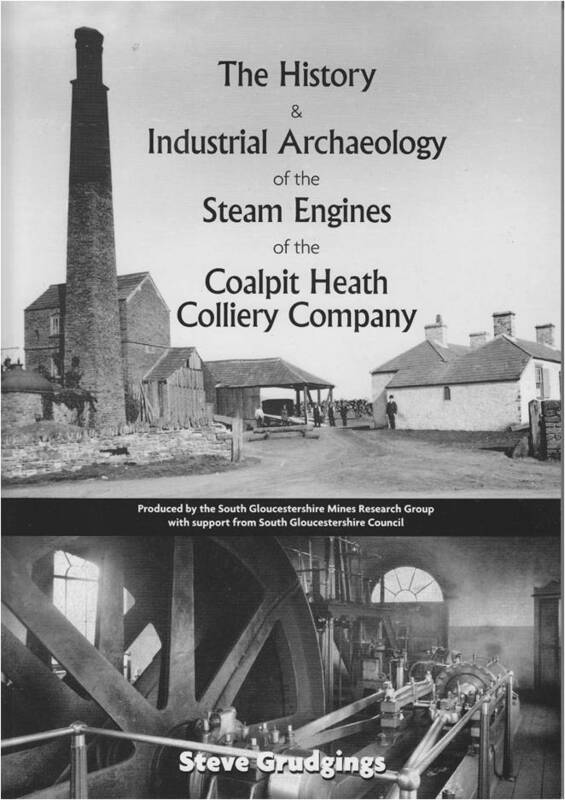 It sets out to tell the technical, social, historical and archaeological stories of the stationary engines used by the Coalpit Heath Collliery Company between 1800 and 1949. Chapter headings – Frog Lane Colliery, May’s Hill Colliery, Nibley Colliery, Ram Hill Colliery, Engines at other CHCC Pits, Bitterwells Famous Water Tank, The Industrial Archaeology of the Steam Engine, some personal views and related observations. Appendices cover the work of George Watkins, Acraman, T&E Bush and J&D Leigh. The book draws on a wide range of archival sources, including oral histories, maps and images collated by the author over a number of years. It is hoped that this account provides the reader with an interesting insight into the engines themselves and their operational context.